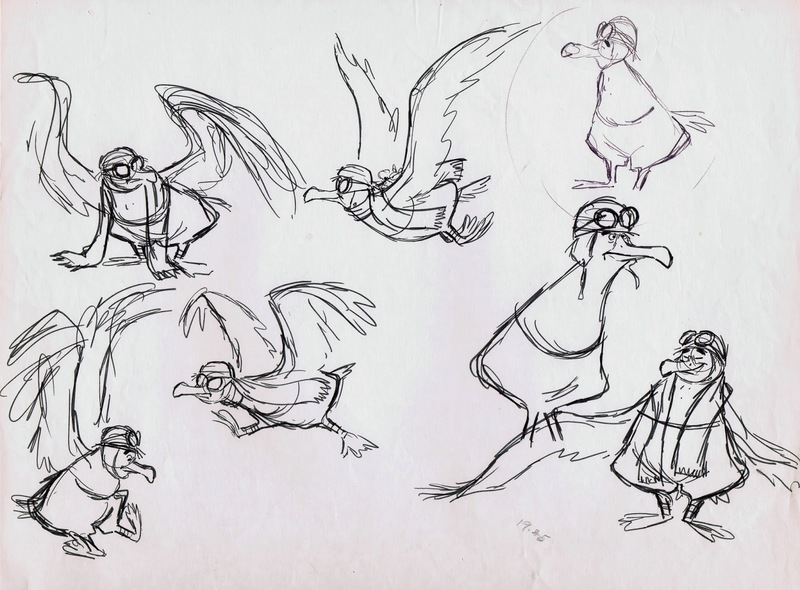 Most of the personality scenes with the albatross Orville from the film The Rescuers were animated by Ollie Johnston. 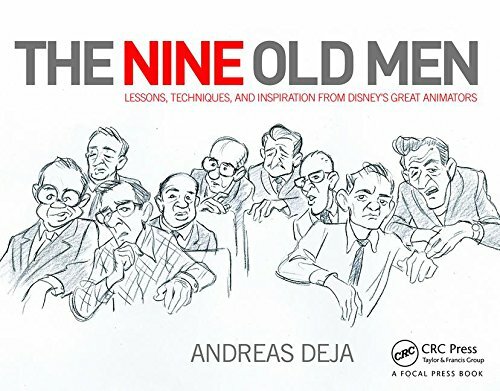 This is an interesting character, he is pilot and airplane all in one. 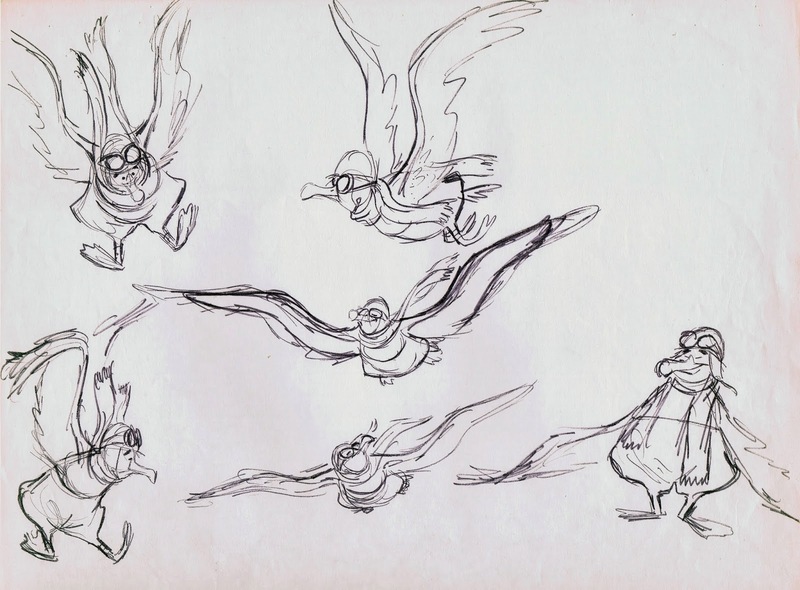 Jim Jordan’s voice brought a confidence to the character despite his questionable flying maneuvers. 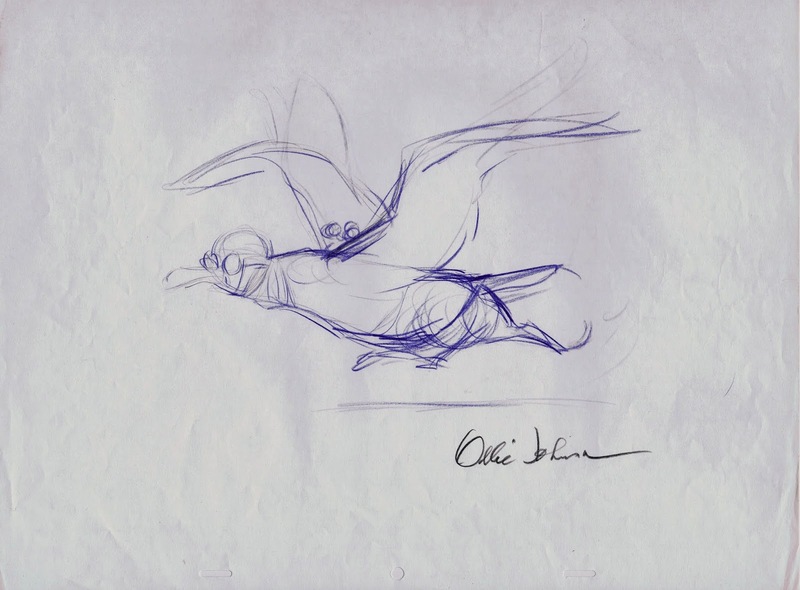 For Orville’s take offs and landings Ollie used some live action footage as reference for his animation. 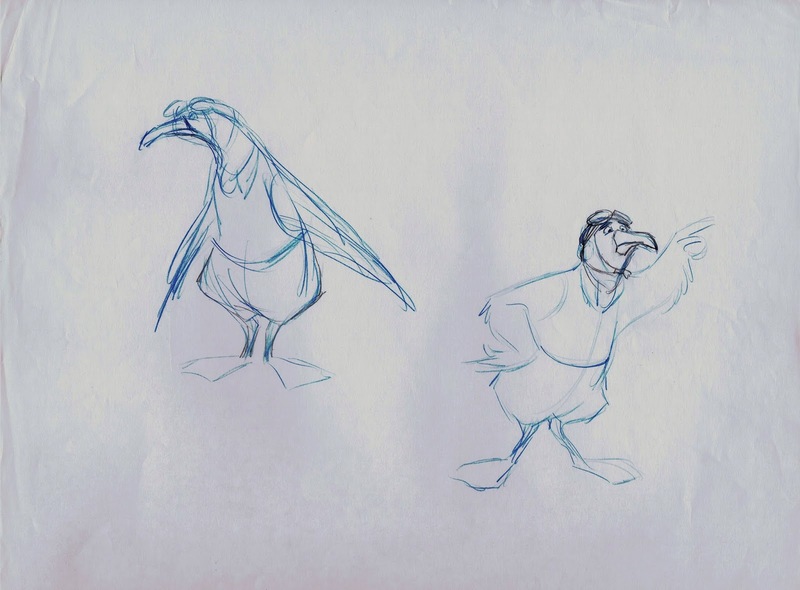 The Disney 1952 documentary Water Birds included scenes of an albatross’s awkward attempts to get airborne as well as his crash landings. 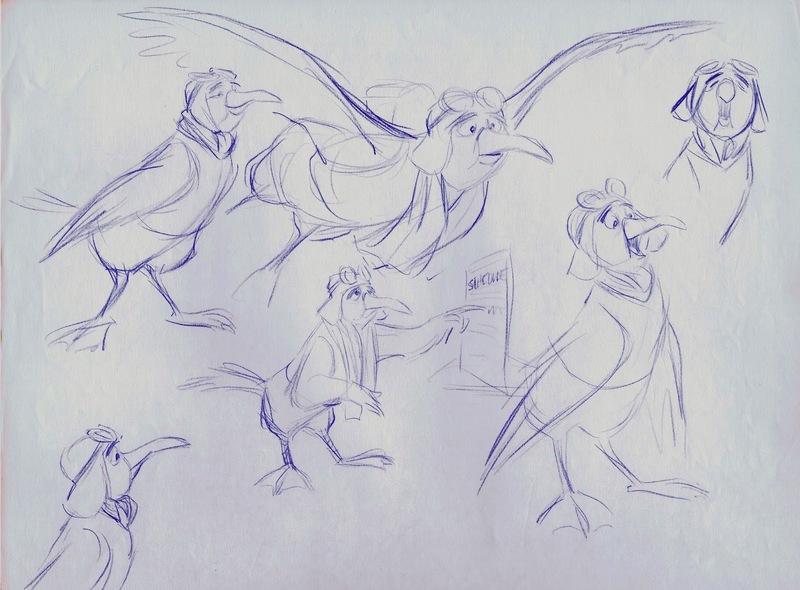 These design sketches are full of personality, and they show the character’s comical potential. 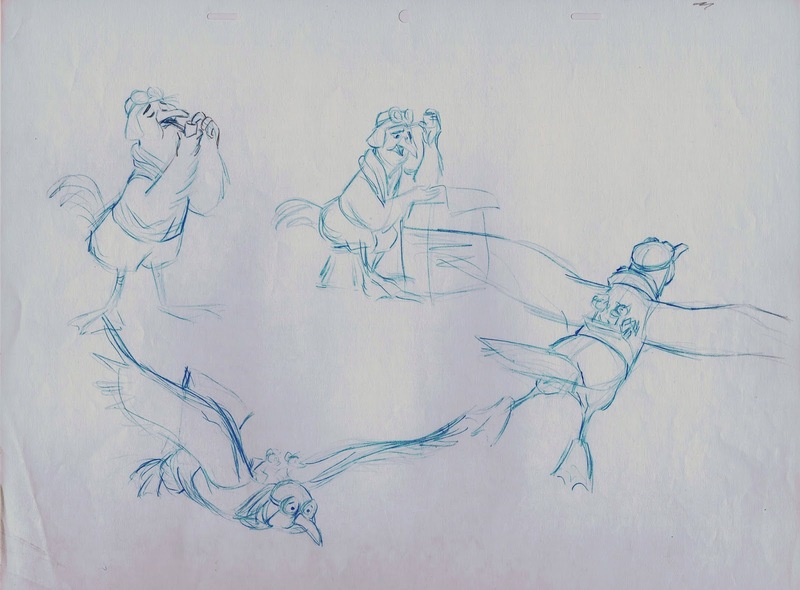 Milt Kahl took a shot at Orville’s design as well. 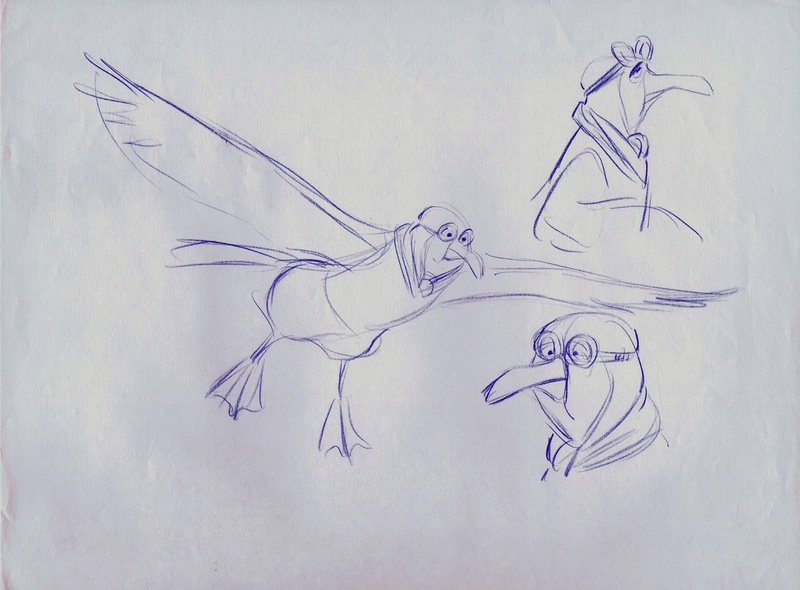 His albatross is a little shorter in length. 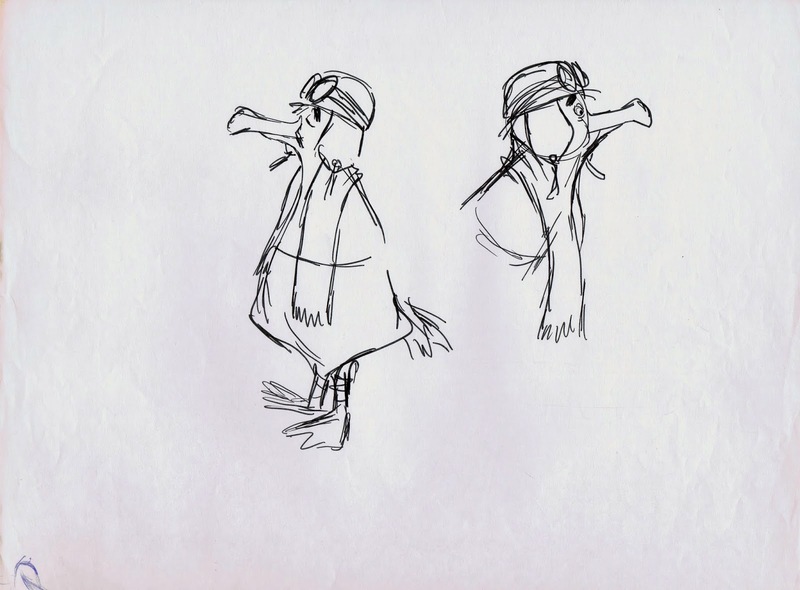 Milt was somehow able to add a funny baggy pants appearance, which is reminiscent of a vintage aviator’s outfit. 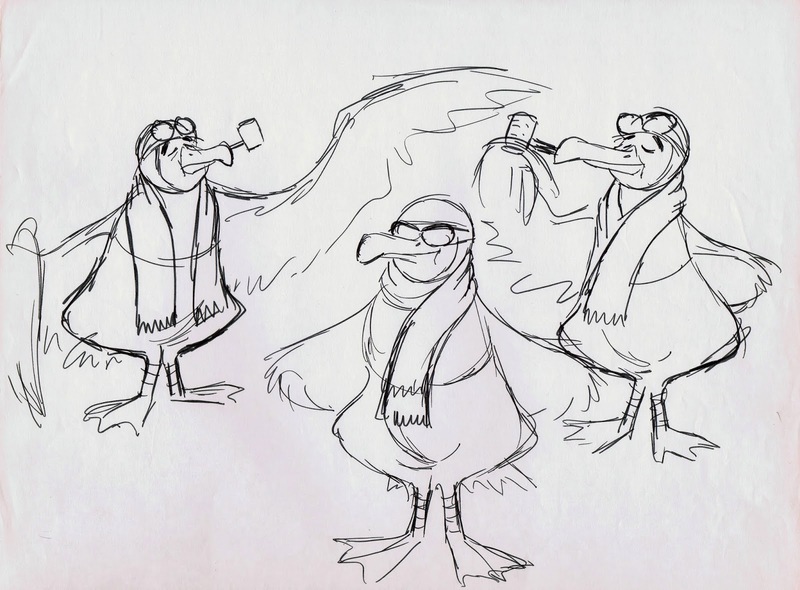 I wished that part would have been kept in the final design. 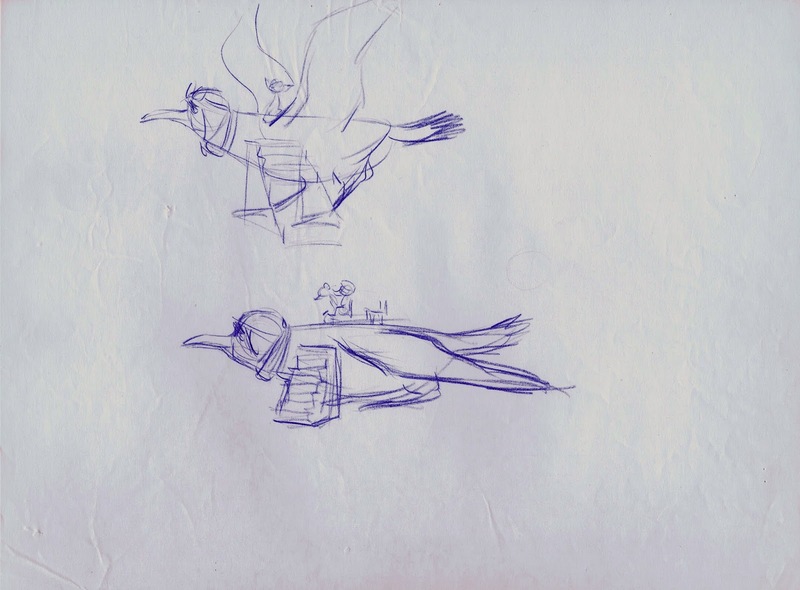 Never before published designs by Ollie and Milt. I hope you enjoy them.